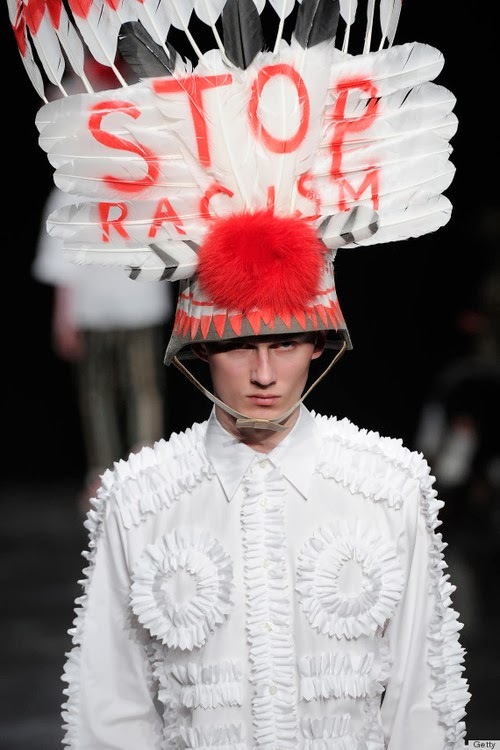 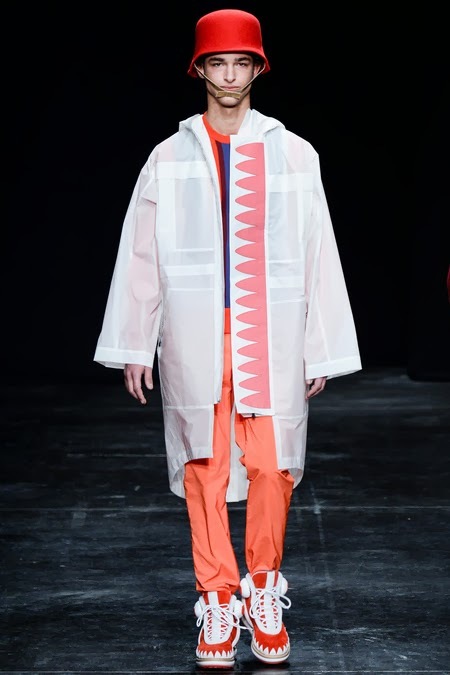 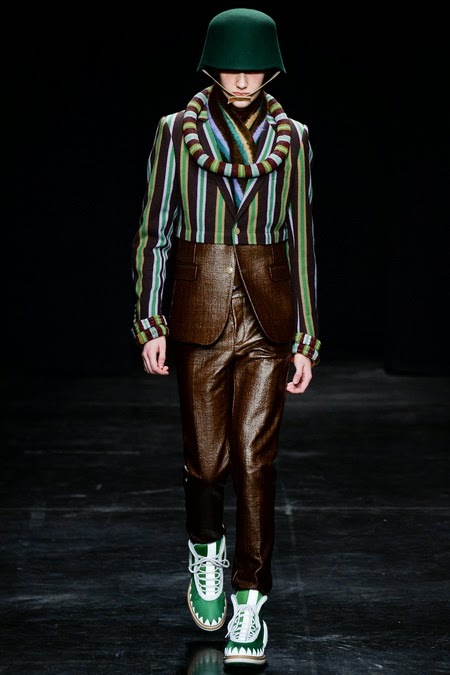 Belgian designer Walter van Beirendonck sent, during the presentation of his new menswear collection, models down the catwalk with headdresses with the text 'Stop Racism'. 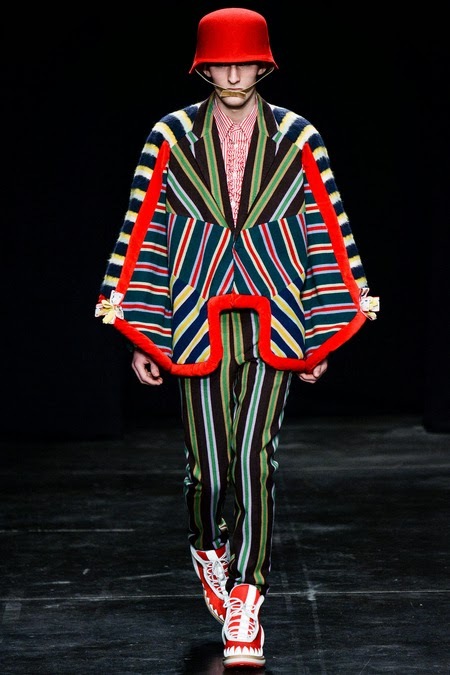 This is clearly what he thinks about discrimination against American Indians by the fashion industry. 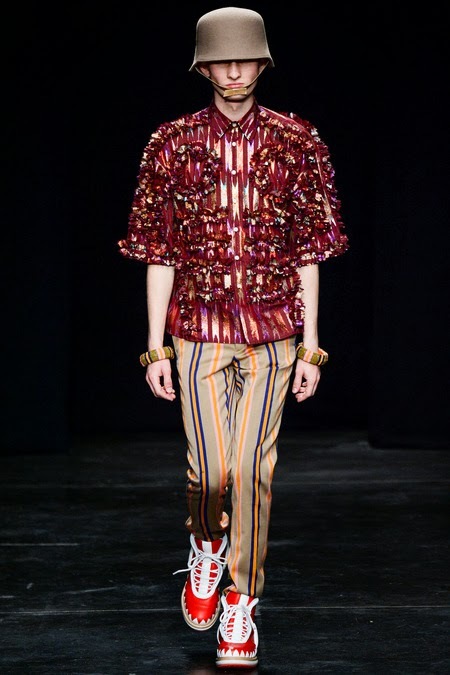 Less than a month ago, Chanel came in disrepute because of the Métiers d' Art show in Dallas. 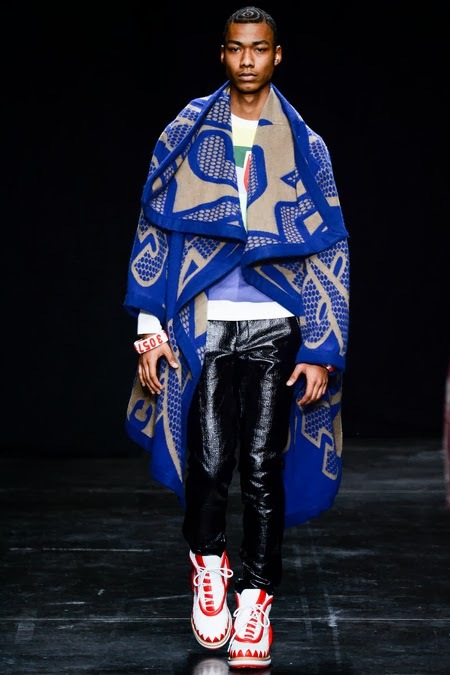 Numerous models emerged on the catwalk in clothing reminiscent of the traditional dress of indians.